He lost 28 family members during Sudan’s civil war, was kidnapped twice and ended up in servitude; Marial’s Olympic dream represents this and more. 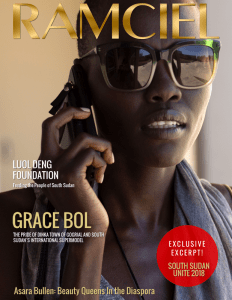 South Sudanese Olympic athlete Guor Marial may not be a hot medal tip for Sunday’s marathon, but the former slave’s road to Rio is one of the most astonishing stories of the games. As a teenager Marial was forced to run for his life during Sudan’s long civil war in which he lost 28 members of his family, was kidnapped twice and ended up in servitude. 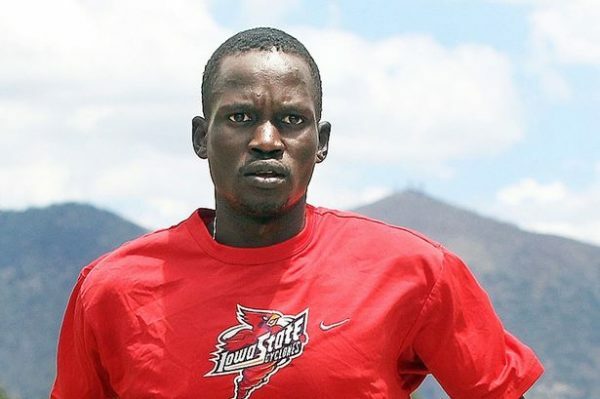 When he fled Sudan he never wanted to run again because of the traumatic memories, but after arriving in the United States as a refugee his talent was quickly spotted by his teachers. This month Marial made history when he became the flag-bearer for South Sudan’s first ever Olympic team, leading his compatriots Margret Hassan and Santino Kenyi into Rio’s Maracana stadium during the opening ceremony. Rio is Marial’s second Olympics, but it is the first in which he can wear his national colours. In London four years ago he had to compete as an independent under the Olympic flag because of South Sudan – which had only gained independence the year before – was unable to send a team. At the time he said he dreamed one day of representing his homeland. “I will be wearing the Olympic uniform, but inside I will be holding the South Sudan flag in my heart,” he said. South Sudan separated from Sudan in 2011 following a 2005 peace deal that ended more than two decades of conflict between the government in Khartoum and rebels in the south. The 32-year-old marathon runner was born in a village in the south at the start of the war, which claimed eight of his siblings. When he was a boy his parents sent him to live with an uncle in Khartoum because it was safer. But it took three years to get there. At one point he was abducted and forced into servitude for a Sudanese soldier’s family. Marial eventually fled Sudan in 1999 following a night-time attack by Sudanese soldiers on his uncle’s home. He was knocked unconscious when a soldier smashed his jaw with a rifle. He escaped first to Egypt before moving to the United States in 2001 when he was 16. In the lead-up to London, Olympic chiefs suggested Marial run for Sudan but he refused, saying it would be a betrayal of his country, his family and everyone who fought for independence. After the London games, Marial returned to his parents’ home in Unity State where they have reunited after two decades apart. “It was overwhelmingly emotional,” Marial told the BBC. “My mum almost walked past me because she didn’t know who I was. Someone shouted and that’s when she saw me and collapsed out of shock. “I knelt down, hugged her and lifted her up. She kept tapping me and saying, ‘Is it you, is it you?’” But peace in South Sudan has been short-lived. The country plunged into civil war at the end of 2013. South Sudan’s President Salva Kiir and his rival Riek Machar signed a peace deal last year, but fierce fighting has erupted again in recent weeks. The Rocky Road to Rio. Although Marial has a personal best time just shy of two hours 13 minutes, he almost never made Rio. In the Ottawa marathon in May a motorbike he was following on the 42.2 km course took a wrong turn, meaning he ran extra miles, missing the qualifying time for Rio. The chemistry graduate, also known as Guor Mading Maker, tried again to qualify at Australia’s Gold Coast marathon in early July but collapsed before finishing. Marial’s Olympic dreams appeared over, but world athletics chiefs stepped in at the last minute to secure him a spot in Sunday’s race which sets off from Rio’s carnival parade ground. He and his two teammates are not the only South Sudanese at Rio. Five others have been competing as part of the Olympics’ first refugee team which was set up to raise awareness of the global refugee crisis. The five runners were picked from Kenya’s huge Kakuma refugee camp, home to many South Sudanese.